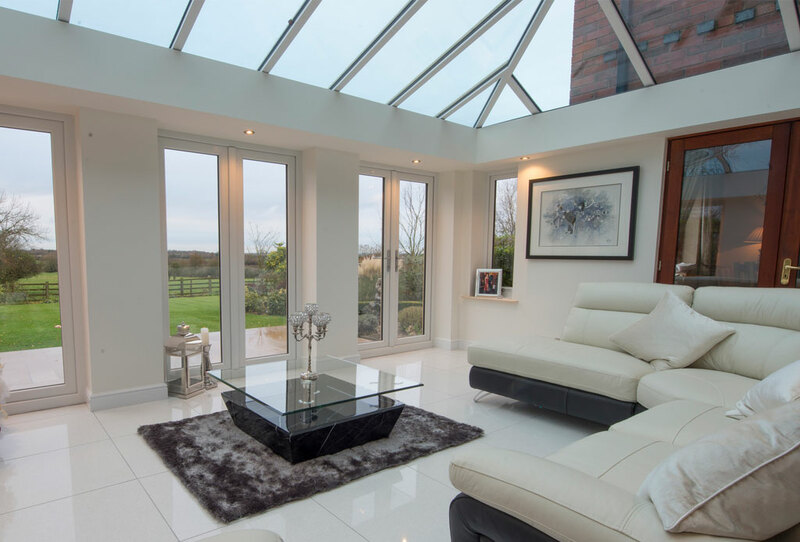 A Croston Orangery is a truly bespoke extension to your living space, providing a light, bright yet warm space in which to relax and entertain. 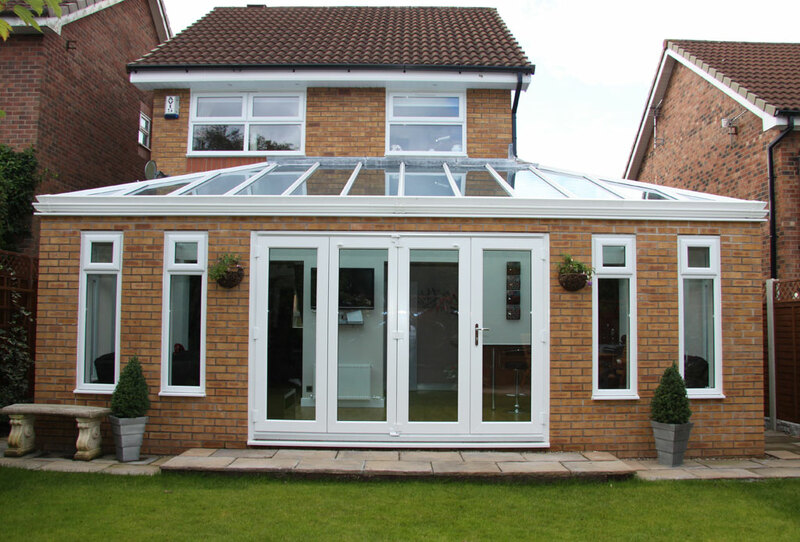 To create a traditional, impressive looking Orangery we can build brick or stone columns up to a parapet wall. Behind this parapet wall, we will construct a warm flat perimeter roof, and sit one or multiple glazed lanterns to the centre, allowing shafts of light to enter your new space. Structural calculations are always obtained to construct a roof of this engineering, ensuring a secure, solid structure. 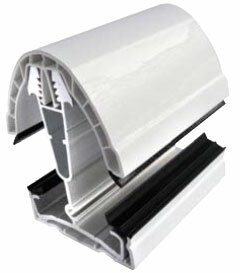 Alternatively, in place of a brick or stone parapet wall, we can fit a contemporary fascia or cornice detail, in a colour to match your Orangery doors and frames. 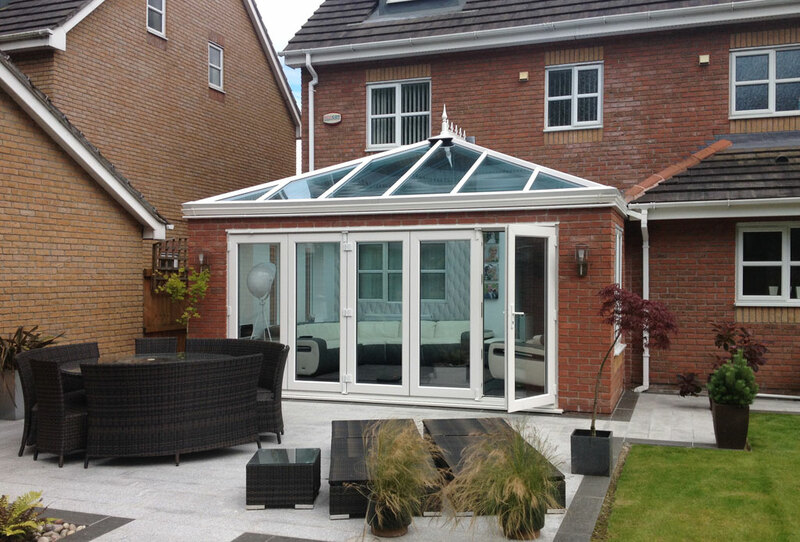 As an alternative to the traditional lantern roof Orangery, we also offer the Croston Contemporary Orangery. 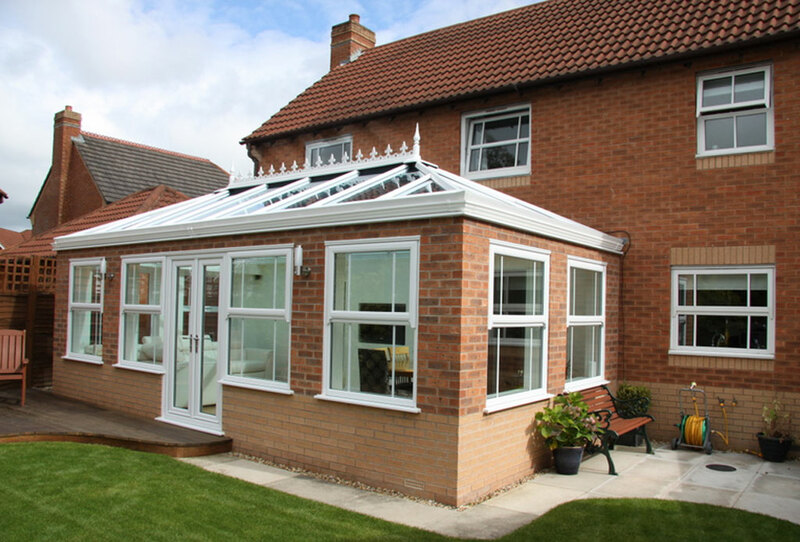 Externally we use brick, stone or rendered blockwork to build the desired Orangery structure. 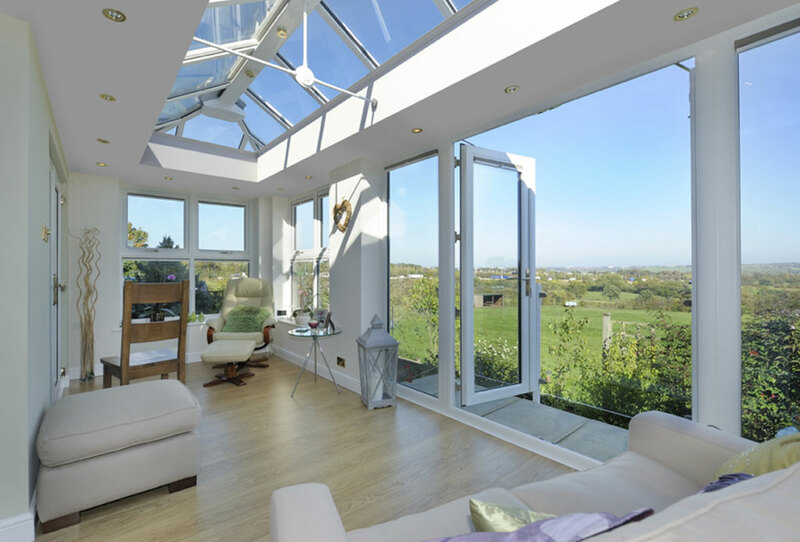 We then fit the high performing Ultraframe conservatory roof system, in your choice of colour and glazing, complete with Croston integral guttering system. 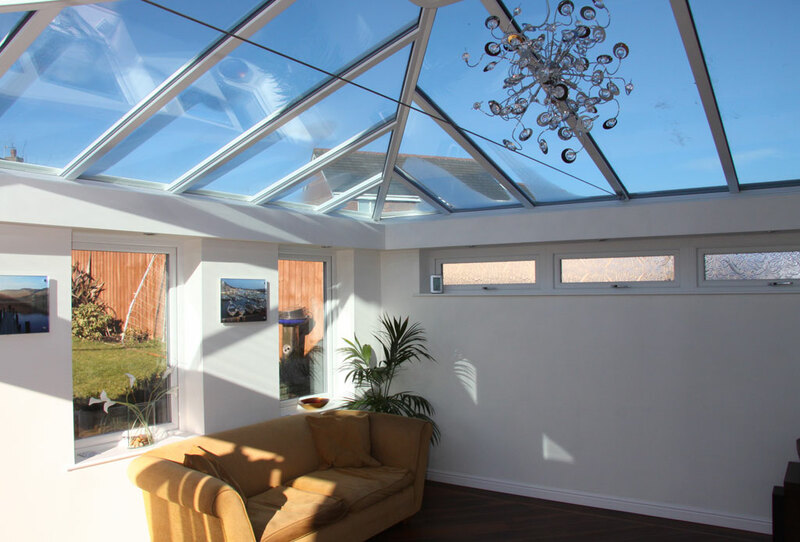 Internally, the Contemporary Orangery features a perimeter pelmet ceiling, into which we can fit spotlights or speakers at your request. 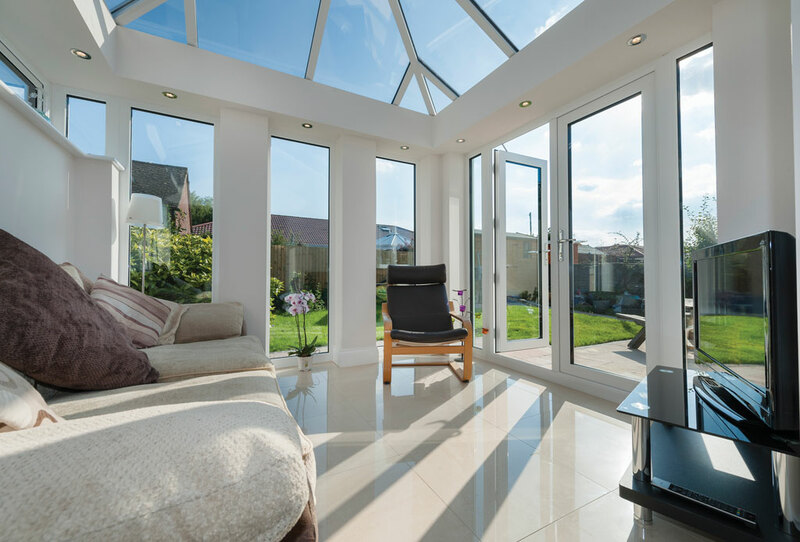 The end result of any Croston Orangery is a room which gives you all the benefits of a warm, thermally efficient extension, but allows natural light to flood in creating a happy, peaceful environment. If planning permission or building regulations approval are required, we will happily organise this process for you. 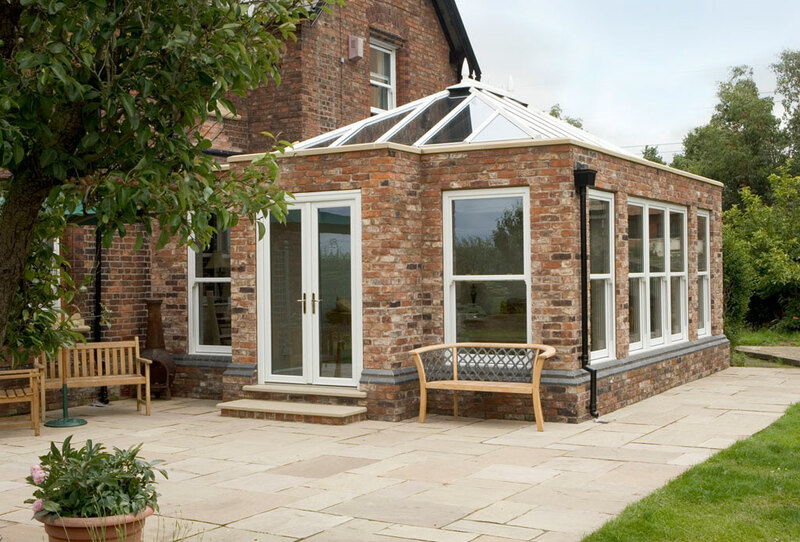 A wide range of colours and materials can be used to make your Croston Orangery truly bespoke, whether you are looking to achieve a striking contemporary design, or a traditional heritage look.